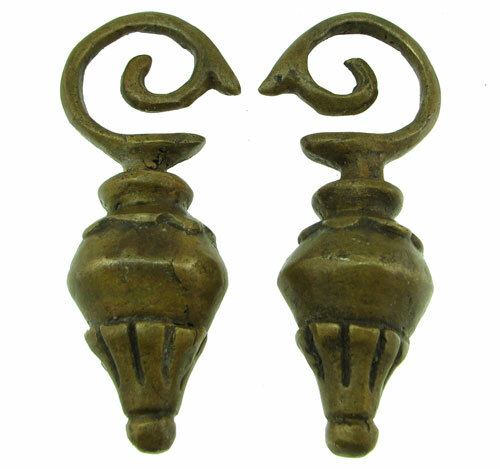 These new Dayak Brass betel nut drop ear weights were handamde by native tribal people of Borneo. These type of ear weights are traditionally worn in long stretched ear lobes by Dayak men and women as a symbol of status and beauty. Each piece weighs about 1.8 oz.